It's all about Poroshenko's Lipetsk business, lawmaker says. 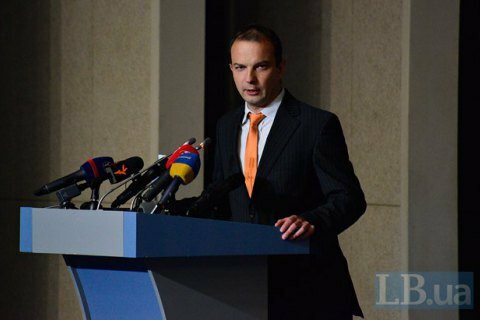 MP Yegor Sobolev (Self-Hekp) says he does not believe that the world puts pressure on Ukraine in the issue of the implementation of the Minsk agreements, particularly regarding local elections in Donbass. "They lie when say about the strong pressure of the world on the Minsk agreements and conduct of the elections in Donbass. We attend lots of meetings in Brussels, Germany, and I see how the West reacts when we substantiate the reality of the threat. They say, why does your president supports Minsk then? It's all about the Lipetsk business," Sobolev said on 7 October in a comment to LB.ua. The lawmaker also said with a reference to Speaker Andriy Parubiy that the draft resolution on the introduction of visa regime with Russia was not raised on Thursday at the request of the Petro Poroshenko Bloc faction. Earlier, the second President of Ukraine Leonid Kuchma, who represents the country on the peace talks in Minsk said that Russia wants the elections in Donbass held at any cost. The by-election in parts of Donbass is one of Ukraine's commitments in the Minsk Agreements. However, Ukraine says before the election, a ceasefire must set in and armed OSCE police mission deployed in the occupied areas.